Reeves, R. and E.d. Mitchell. "Beluga Whale". The Canadian Encyclopedia, 27 July 2018, Historica Canada. https://www.thecanadianencyclopedia.ca/en/article/beluga-whale. Accessed 21 April 2019. The beluga, or white whale, is a type of toothed whale found in Canada’s Arctic, Hudson Bay and St. Lawrence estuary. The head of a beluga whale (Delphinapterus leucas) from the Vancouver aquarium. 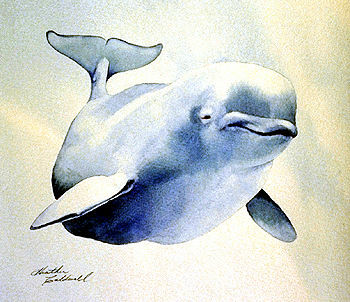 The populations of beluga whales are endangered in Canadian waters (artwork by Heather Caldwell). 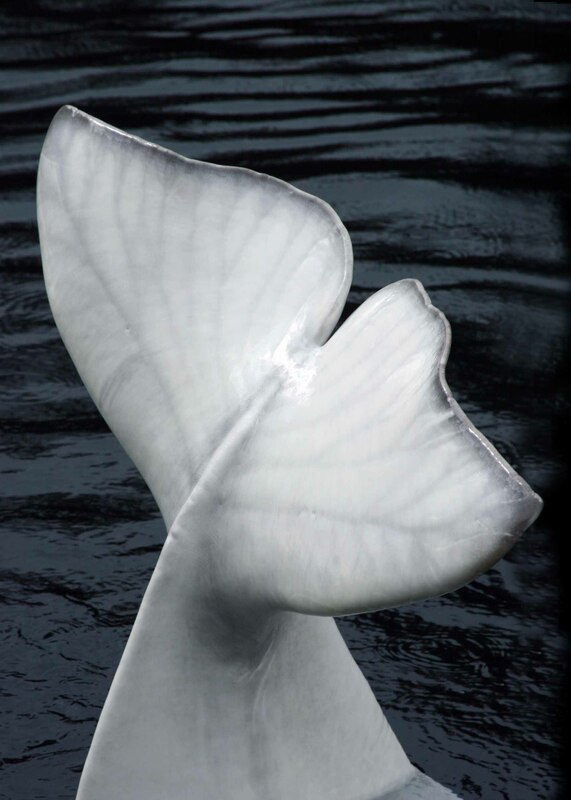 Close-up of a Beluga whale tail. Belugas, or white whales (Delphinapterus leucas), grow to a maximum length of about 5 m. Adults are white except for the margins of flippers and tail flukes. There is no dorsal fin. The high, rounded forehead ends in a short, broad beak. The neck vertebrae are not fused and belugas can turn their heads from side to side. Calves and juveniles are grey to blue or brown, but otherwise resemble adults. Belugas have a remarkably varied vocal repertoire and have been called sea canaries. Their biosonar system, used for echolocation in navigation and foraging, is among the most sophisticated found in nature. Belugas are widely distributed in the Arctic and subarctic. 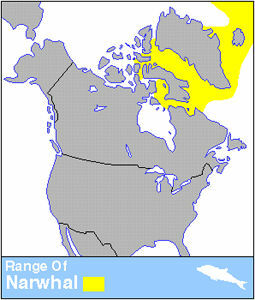 Some North American populations are strongly migratory and are identified by their summer grounds (e.g., Beaufort Sea, Lancaster Sound-Barrow Strait-Prince Regent Inlet region, and eastern and western Hudson Bay). Others tend to remain in the same region year-round, making primarily local movements (e.g., Cook Inlet, Bristol Bay, Cumberland Sound and St. Lawrence estuary). Belugas are often found near ice and in or near river mouths. 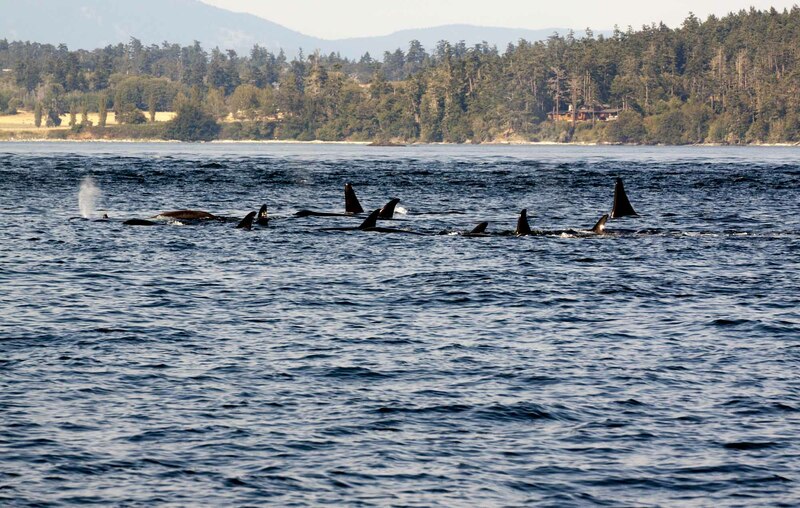 They are social animals and sometimes form aggregations of hundreds or even thousands of individuals. The beluga’s diet depends on the season and region, and can include capelin, arctic cod, herring, salmon, smelt, eulachon, lampreys, shrimp, squid and marine worms. 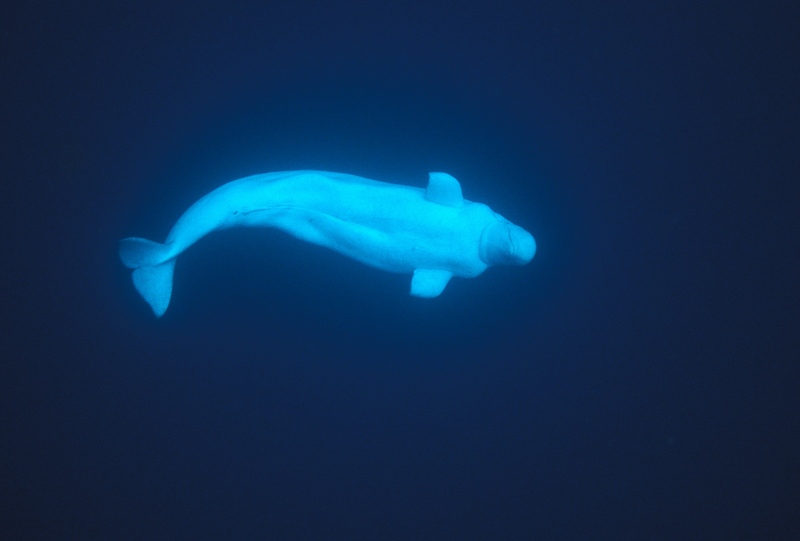 Belugas can dive regularly to the sea floor in depths of 300-600 m, and they are thought capable of diving much deeper when required to reach their prey. Ages at sexual maturation are uncertain, in part due to the difficulty of estimating age from tooth layers. Mating happens in the spring (April-May), and calves are born after more than a year of gestation. The nursing period for calves is 12-18 months or longer. Belugas have long been hunted by northern residents for meat and oil, and by commercial whalers for hides and oil (see whale; whaling). Some fishermen in the St. Lawrence have considered them serious competitors for salmon and cod. 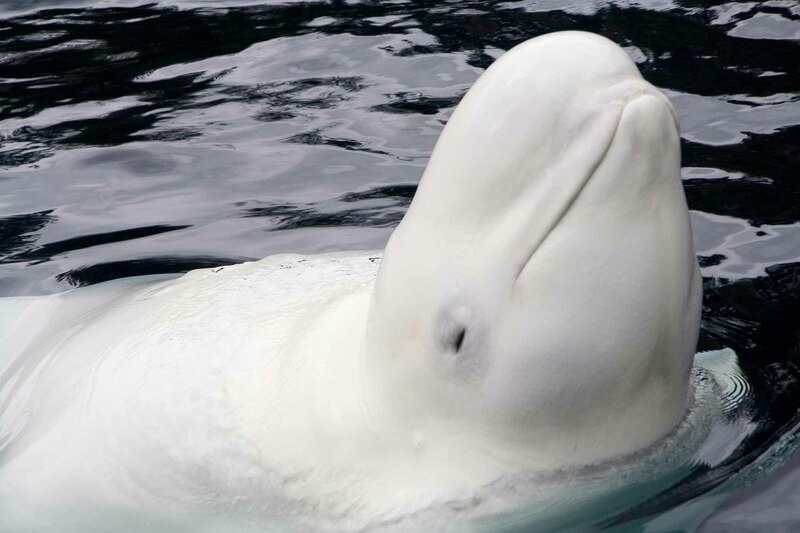 Between 1928 and 1939, an extermination program carried out by the Québec government included payment of a bounty for each marsouin blanc (beluga) killed. Today, the St. Lawrence population persists but in numbers considerably smaller than historically, and the same applies to those in Cumberland Sound and eastern Hudson Bay. The stock that formerly congregated in river mouths of southern Ungava Bay is either exterminated or nearly so. Commercial whaling was banned in Canada in 1972, and belugas in the St. Lawrence are now fully protected. However, subsistence hunts continue elsewhere in Canada, driven by the fact that the skin of belugas (muktuk) is a traditional and nutritious delicacy among the Inuit. St. Lawrence belugas in and around the Saguenay River confluence are a tourist attraction, although whale watching boats are required to keep their distance and avoid disturbing the animals. Belugas have also become popular display animals in oceanariums around the world. 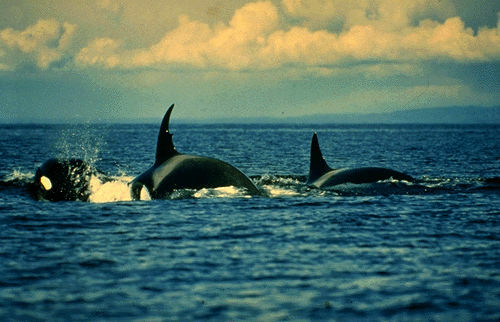 In Canada, they have been displayed for many years in Vancouver Aquarium and Marineland (in Niagara Falls). In the past, many of the belugas in captivity were caught in western Hudson Bay, but since Canada tightened its regulation of the practice, the growing world demand for live belugas has been supplied by Russia. Belugas are also bound to be affected by climate change, although the nature and degree of the effects are uncertain and will probably vary across the various populations. Besides the ecological effects, reduced sea ice will lead to major changes in human activities, such as offshore oil, gas and hydroelectric development and commercial fishing, which can in turn have significant impacts on belugas and their habitat.